Pokémon: Let's Go! 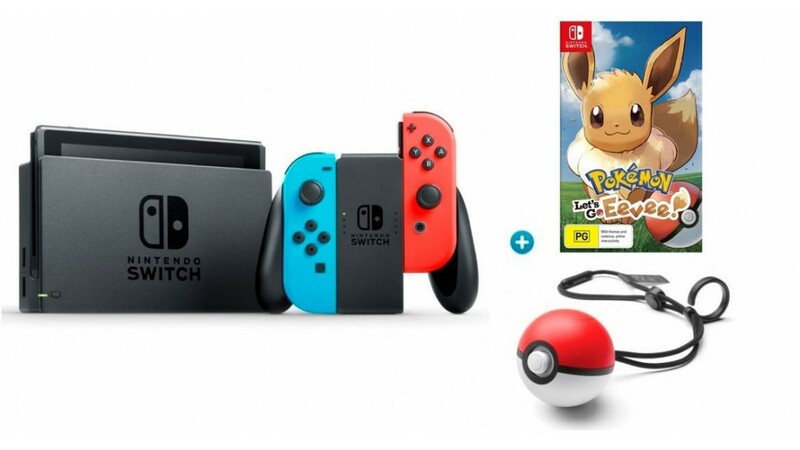 limits your partner pick to one of two Pokémon: Eevee or Pikachu, contingent upon which variant of the Switch games you get. What with these being Pokémon Red/Blue makeovers, however, this might disillusion. Perhaps you simply need to buddy around with your starter Bulbasaur, Charmander or Squirtle from the begin. Fortunately, you can genuinely have it all in Let's Go!, and easily. Every one of the three of the first starters can be yours moderately at an opportune time into your experience — and there's even an opportunity to claim more than one of these uncommon Pokémon. One of the most interesting aspects of Pokémon: Let’s Go, which launches today on the Nintendo Switch, is that it connects with the mobile game Pokémon Go. All of those creatures you’ve been capturing on your phone? You can now bring them to the console game. Well, some of them, at least. Luckily it’s a fairly painless process to sync the two games, but there are a few hitches to be aware of. Here’s how to get going. The first step is to sync your devices. For the Switch, all you need to do is go to the main menu in Let’s Go and choose “Open Pokémon Go settings.” Once you do that the game will start searching for your Pokémon Go account. While that’s happening, open Pokémon Go and go to the settings menu. (First tap the big poké ball in the center of the screen, and then “settings” in the top right corner.) If you scroll all the way down to the bottom, there will be a list of devices, with the Nintendo Switch at the very top. Tap “connect to Nintendo Switch” and you’ll get a notification on the Switch that a Pokémon Go account has been found. Choose “yes” to sync and you’re all done. Now, if you just picked up Let’s Go, you’re probably excited about bolstering your pokémon party with creatures you’ve already caught in Pokémon Go. Unfortunately, you can’t start transferring right away. In order to access the transfer feature, you need to head to the Go Park Complex in the game, which is located in Fuchsia City. This is fairly far into the game — Fuchsia City is home to the fifth of the game’s eight gyms — so it’ll be at least a few hours before you can do any transferring, even if you rush through. Once you get to Fuchsia City, the transfer process is very simple. You just select the Nintendo Switch option on your phone, pick the pokémon you want to send, and then head to the receptionist in the park to pick them up. However, there are a few important things to keep in mind. For starters, once you transfer a pokémon to the Switch game, you can’t send it back to Pokémon Go, so be sure about your decision. You also can’t transfer every pokémon. Let’s Go is a remake of the original Game Boy title Yellow, which means that you can only transfer first-generation pokémon. There are at few exceptions. It appears you can’t transfer Mew, who, in this version of the game, comes in the optional Poké Ball Plus peripheral. Special event pokémon, like Pikachu wearing sunglasses or a santa hat, also can’t be transferred. 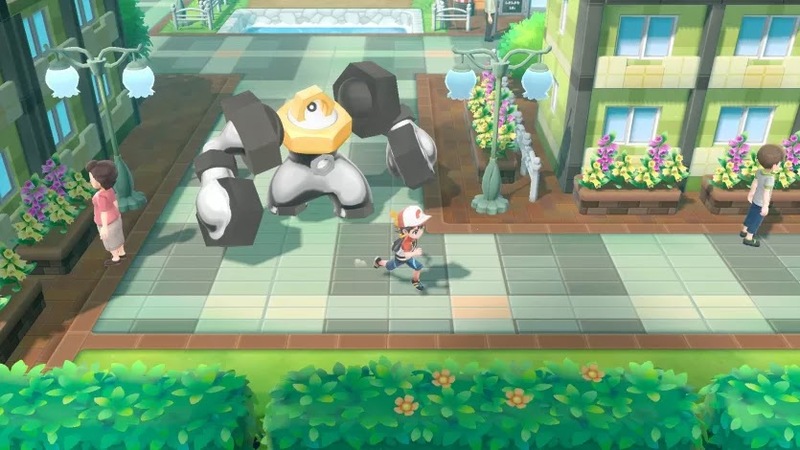 That said, there is a brand-new monster — a strange metallic creature called Meltan — which is new to Pokémon Go but can be transferred to Let’s Go. In its evolved form it looks pretty intimidating following you around in the Switch game.